I recently added the below caption and 3 images to the Trombone History Timeline (16th century). 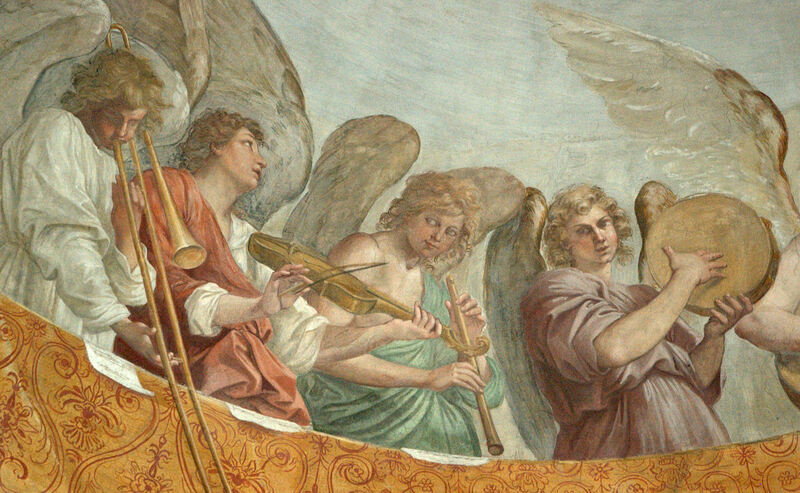 The instruments are highly stylized, but I think there’s a good chance they represent a trombone, cornetto, and harp. Special thanks to Suzanne van Os….